A longtime woodworker's illustrated guide to the tools of the trade and how to use them. For those who would like to have the benefit of a woodworker's extensive experience with hand tools, this is the book to own. Crammed with practical information, it is the next best thing to looking over a craftsman's shoulder as he works with his tools, asking questions and getting straight answers in plain language, seeing how each tool is held and manipulated to get the best work out of it. 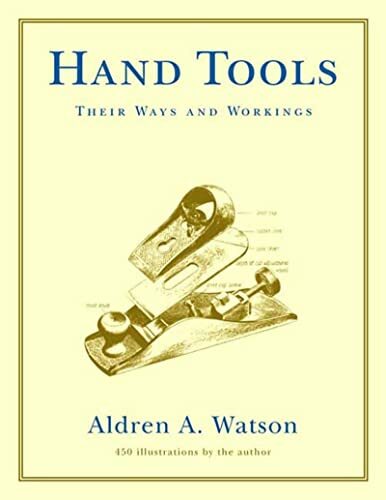 From bit brace, chisel, and mallet to saws, specialized planes, drawknife, and spokeshave, Aldren Watson describes in detail the actions of the tools basic to good woodworking. All the procedures are explicitly illustrated with handsome line drawings, and an appendix gives plans and dimensions for making a workbench and other necessary pieces of shop equipment. With 450 b/w illustrations by the author. Aldren A. Watson (1917-2013) was an illustrator and designer as well as woodworker. He had written and illustrated many magazine articles and books, including The Blacksmith and Country Furniture, published by Norton. He lived and painted in Vermont and New Hampshire until his death in 2013.